Natalya and Bayley go at it now. Flair works on Bliss. Moon works on Shirai. The next entrant is Lana at #28. Lana is limping to the ring due to the bump from Rusev earlier. Bliss and Natalya work on dumping Flair. Trainers come out to check on Lana as she’s unable to make it down the entrance way. Bliss works on Bayley. Moon tries to eliminate Shirai. Fans chant “we want Becky!” now. Flair works on Natalya now. 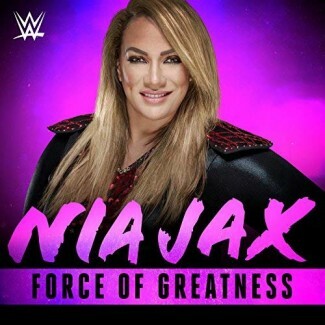 The next entrant is Nia Jax at #29. Jax boots Lana to the ground and beats her up while the trainers were checking on her. Jax goes to the ring and clotheslines Natalya. Jax knocks Shirai in mid-air. Jax takes turns dropping the others. Jax clotheslines Bliss. Shirai with a top rope moonsault to Jax but Jax eliminates her. 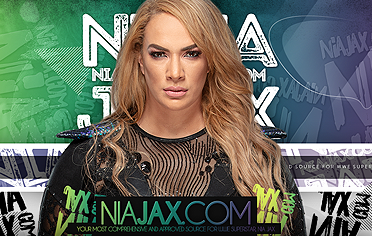 Natalya decks Jax but Jax sends her to the corner. Natalya tries to dump Jax. Jax eliminates Natalya. The last entrant is Carmella at #30. Carmella drops Jax, then Moon. Jax levels Carmella. Becky Lynch comes out and talks to producer Fit Finlay, apparently wanting Lana’s spot. Fans pop for Becky. Becky gets the spot and fans pop. Becky enters and faces off with Jax for another pop. Becky unloads on Jax with strikes. Flair grabs Becky and tosses her over but Becky hangs on. Becky fights in and unloads on Flair. Jax tosses Becky to the apron but she hangs on. Becky fights Flair and Jax off. Jax drops Flair. Becky leaps from the top and dropkicks Jax to the mat. Bliss drops Moon. Carmella works on Flair now. Bliss and Moon trade shots, now out on the apron. Bliss finally eliminates Moon. Bliss taunts Moon from the apron. Bliss goes to work on Carmella now but it backfires. Bayley works on Becky. Carmella with a Bronco Buster to Bliss. Bayley hits Jax. Bliss and Carmella go at it. Carmella with a superkick. Bayley tries to eliminate Bliss but hits a Buckle Bomb instead. Bayley scoops Bliss and Carmella helps her. They eliminate Bliss. Jax levels Carmella and Bayley. Flair saves Jax from Becky. Bayley with a big elbow drop to Jax. Flair with a big suplex to Bayley. Carmella counters Flair and drops her. Carmella goes to the top and hits a crossbody. Flair rolls through and picks Carmella up, dropping her with a backbreaker. Flair goes to the top and kicks Carmella away. Carmella rocks Flair on top. Carmella tries for a scissors to the mat but Flair powers up and sends her to the apron. Carmella comes back in and mocks Flair. Flair eliminates Carmella. Bayley tries to dump Flair from behind but she hangs on. Bayley drops Flair with a knee to the face. It’s down to Flair, Bayley, Jax and Becky now. Flair kicks Jax while Bayley is on her shoulders, eliminating Bayley. Flair, Jax and Becky trade looks now. Fans chant for Becky. Flair decks Becky into the corner and she unloads. Jax flattens them with a splash from behind. Flair and Jax have words. They go at it now. Flair hangs onto the top rope. Flair with a big boot, and another. Another big boot into the corner. Flair picks Jax up on her shoulders. They collapse to the mat. Becky is on the floor but she was knocked through the ropes. Flair scoops Jax again and sends her to the apron. Becky comes from behind and pulls Jax down, eliminating her. It’s down to Flair and Lynch now as fans pop. Becky walks up the steps but Jax kicks her back to the floor. Lynch lands bad on her knees. Officials check on her. Jax makes her exit as fans boo. Becky stumbles in the ring and tells Flair to fight her. Fans cheer Becky on as she hobbles to her feet, talking trash. Flair immediately takes the knee out. Flair unloads on the knee now. Flair keeps control and stomps on Becky. Becky kicks Flair to the apron and tries to dump her but Flair takes the leg out and comes back in. Flair tosses Lynch. Becky manages to send Flair to the apron, then kick her off for the win.